We recently started a series of blogs entitled “Taking Care Of Business” to familiarize our customers with the business side of the photo lab, and to share our vision for the future of FotoTechnika. This particular blog deals with our oldest and only remaining analog service: film processing. We are of the firm belief that you just can’t be a good photographer without understanding light, and the best way to unlock the mysteries of light is by shooting film. When the NY Times published an article about the last processing run of Kodachrome in 2010, it left the impression that all film is a relic of the past. Au contraire! Just because Kodachrome is no longer available does not mean film is dead. Today people are finding antique heirloom cameras, as well as old 35mm and medium format cameras, many of which are still operational. A lot of these discoveries come about as aging baby boomers sort out family estates or downsize for retirement. And there are a surprising number of Millenials who have discovered film, some even taking photography courses in high school or college for “alternative processes” – in other words, film. Some vintage film sizes like 110 and 127 have come back into vogue, and from some of the strangest vendors. (Urban Outfitters – really?) Even though the Great Yellow Father (Kodak) was broken apart and sold in pieces since its bankruptcy, Kodak formula films are still being produced. Fujifilm is still going strong, Agfa film is still out there and there are a host of small Eastern European and Asian film manufacturers that offer loads of product variety, although – at least in our region – it may be necessary to go to the internet to find it. Since the “great recession” began there has been a great winnowing in the photofinishing industry. The independent labs that have survived are the ones that have been able to branch out with new technologies. By 2008 many of our analog processes (those that were dependent on chemicals at one stage or another) had been phased out. We had just closed our B&W printing department, so that only film processing remained. Concurrently, many of the independent labs were forced to stop processing film altogether because their machines were geared for large quantities of film, and chemicals would go bad if they were not replenished and activated regularly. Luckily, since we had low-volume/high-quality processors, none of our film departments suffered that fate, at least for a while. The week that we opened our doors in 1987, we installed a small-volume Richcolor E6 machine, for processing slide and transparency film. That machine ran faithfully for 25 years, but we had to deactivate it in 2012 because it came to the point that there were many weeks when we didn’t even have two rolls to develop. Without regular replenishment, the chemicals could not be kept fresh, and mixing and replacing chemicals just to run a roll or so of film made E6 processing cost-prohibitive. And so, another analog department went by the wayside. In the past we also maintained a high-volume dip’n’dunk machine for C41 processing for color negative film. We saw the handwriting on the wall when most of our processes started going digital, so we decided to purchase several used Richcolor C41 processors (which had not been manufactured in over a decade) since they handled less rolls of film and had given us such excellent service with E6. (The Richcolors could stay in balance by processing as few as 10 rolls a week.) We have always processed B&W film the really old-fashioned way – by hand. We started out by processing in small tanks, but moved to a sinkline in 1990 when we needed to process more rolls at a time, and Kodak invented T-Max RS film chemistry. Just a little over a year ago the chain drug stores and big box stores gave us a gift that keeps on giving. They shut down all of their “wet” (chemical) processes and started sending their film out of town to be developed. That may not have been so bad for most of their customers except that they decided, in order to save money, they would have the out-of-town lab process and scan the film, then send the digital files back over the internet and once done, throw the film away. And most of the time, the files transmitted back to the drug stores are only usable for a snapshot size. This enraged many a film photographer. “Why shoot film if you don’t want the negatives back?” we’ve heard on more than one occasion. As a consequence, we are running as much or more color negative film than we ever have, because we develop it on-site, and we do give the customer’s negatives back to them. That is especially handy if they decide they want an enlargement, because the negative can be scanned at a higher resolution to fit the need. Now for the “Profitable” part of this blog: we have always been a Fuji lab with respect to all of our color photographic products, and although we do get excellent service and prices on our Fuji printing materials, all of their chemical prices have risen over the last decade – at first incrementally, but lately geometrically. We can still get T-Max RS developer for our B&W film. It is great because it has a ph enomenal shelf life and replenishing is incredibly simple, but we had sticker shock when we had to order it recently. In just over a year the price had risen over 27%. This caused us to reexamine our film processing prices. Much to our chagrin we found that we haven’t been pricing our processing profitably for – well – forever. In the past we considered film a gateway service. Most of our customers would order prints, and that made up the difference, but these days folks are either asking only for the initial film development, and maybe scans saved on a CD. Our scanning prices are very reasonable – in fact, so “reasonable” that they couldn’t cover the losses we incurred on film processing. A few customers go on and on about how cheap it used to be at the chain drug stores in the past. We usually remind them that many of their photo services were “loss leader” — a service sold below cost to get them into the store so they would in turn purchase diapers or cosmetics (which have incredible profit margins) while they waited for the one-hour processing service. So, we have adjusted our pricing as shown on our rack card. 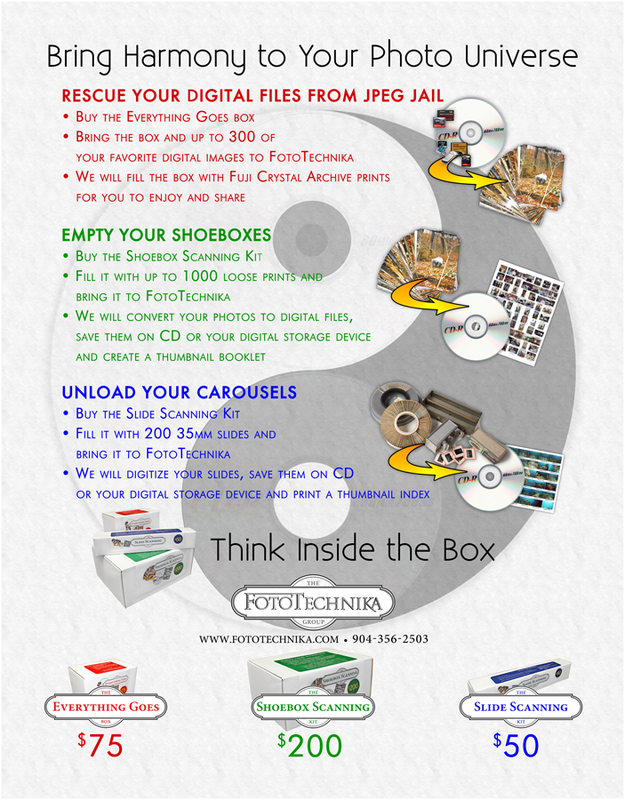 The one consolation prize is that, if prints are ordered with the film processing, we only add the basic $5 charge to save all the images on a CD rather than charging for each individual scan, and one CD will usually cover all the scanned film in an order, unless there are more than 20 rolls. We hope that these adjustments will be all the “Taking Care of Business” needed for film processing for some time. This is a service we plan to offer as long as the chemicals are available and our vintage processors are operational. Oh, and don’t forget that we have a dropbox for film (and other orders) in front of the shop for your convenience. 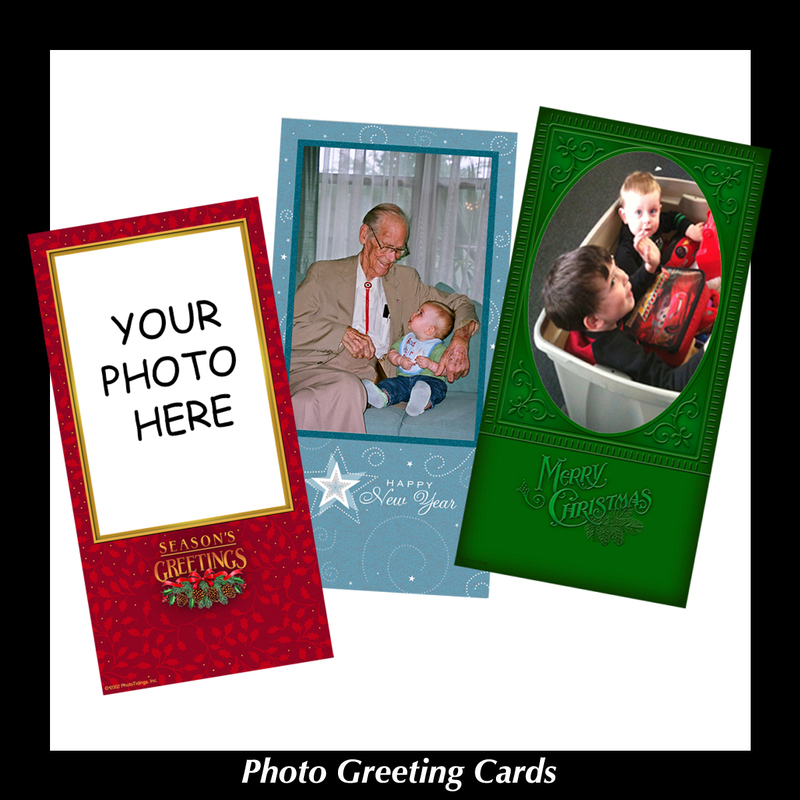 As we reproduce photos for long-time customers who are our age, and who are celebrating milestone birthdays and anniversaries along with us, we realize that yes, we — and the business, too — ARE getting older. …and if we need to make any changes to improve the business, now is the time. Time is the whole point… There doesn’t seem to be enough time in the day to get everything done. We’re a small operation with all production personnel. Non-revenue producing activities have to be divided among us, and things like paying bills, updating the website, and writing blogs can’t be done effectively while we’re answering the phone, helping customers at the counter, making prints and working Photoshop magic. • Our customer counter and telephone lines will be open for business from 10 AM to 5:30 PM, Monday through Friday. • At the other-than-official hours, messages may be left on the phone for a return call, and orders may be left in the drop box just outside our front door. • Appointments may be made in advance for early morning visits to the counter, between 9 AM and 10 AM, for those times when a drop-off, pick-up or personal visit with John or Saundra is absolutely necessary. • Other times will continue to be available by advance appointment. Each day we plan to use the “extra” hour between 9 AM and 10 AM, when the counter is not open, to pay attention to things like learning curves in new product development, and how to market the great new things we learn to produce… among the regular administrative things. Even though it only amounts to five hours a week, it’s amazing how much more can be accomplished when there are no interruptions. This may seem like an insignificant adjustment, but no change is insignificant… everything has a domino effect. For one thing, there will probably be complaints from those who haven’t read this notice or noticed the different hours on our website or Facebook page or the front door sign. But the payoff should be a win-win: much more effective (and less stressful) use of all our time, resulting in more efficient service for you, our customers. 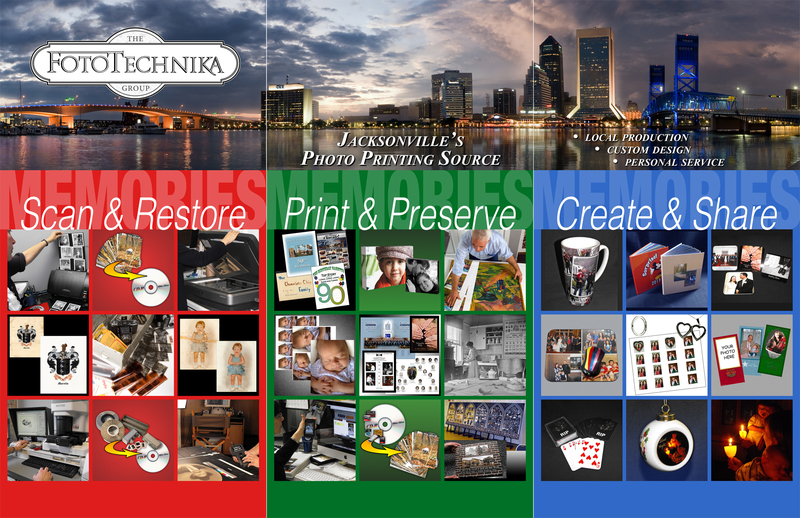 Please join us in welcoming this new schedule to The FotoTechnika Group Business Plan! What Makes an Image Archival? The following are excerpts from a photo industry post by Allen Showalter, owner of King Photo, Harrisonburg, VA. I plan to print it in our next newsletter, but until then, the information is too relevant to ignore. First there will be an overlapping period where there is a window of opportunity to transfer the old technology to the new. (Think 8mm movie film transfer, audio cassette to CD and VHS to DVD.) the window could be very small like a web gallery saying “move your photos in 30 days or lose them” or it could be very long like we are seeing with 8mm movies and LP’s (I remind you here that those are analog technologies) but eventually that window will close and it will not be cost effective to transfer. The second catch with digital I think is the bigger one: someone has to care enough in every generation to make the transfer happen and to pay for it. It only takes a one generation lapse and the chain is broken forever. For example, if the current generation doesn’t get the family VHS tapes transferred soon the window will close and all the moving images of the family from 1980 to 1995 will be lost forever. In the photo industry we are doing our customers and our industry a disservice when we convey the notion of permanence with regard to any digital or cloud products. 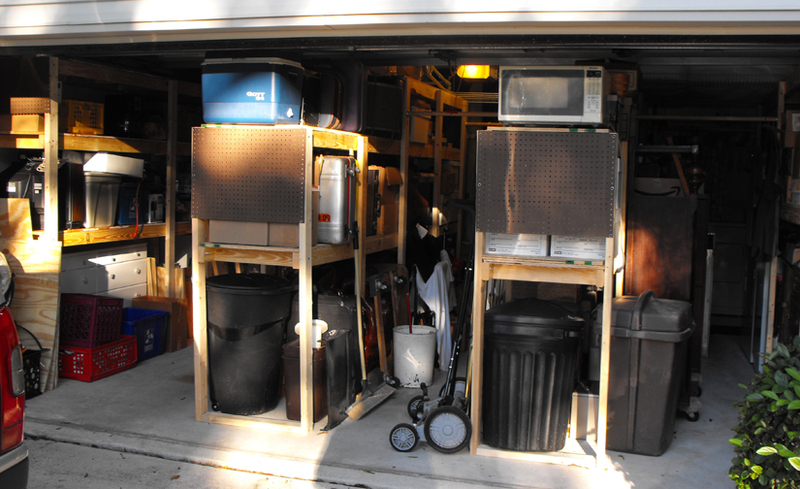 Those solutions are a temporary (5-15 year) storage repository. Only prints will make it through to 2050 and beyond and still be as readable then as they are today. Print to Preserve. When the question “How many of you have photos of your grandparents?” comes up an any photo class or seminar, nearly every have goes up. When “How many of you have the negatives those were made from?” is asked, hardly any hands go up. Why? Because to any layman negatives were unreadable without technology and so they were discarded while the prints were treasured. 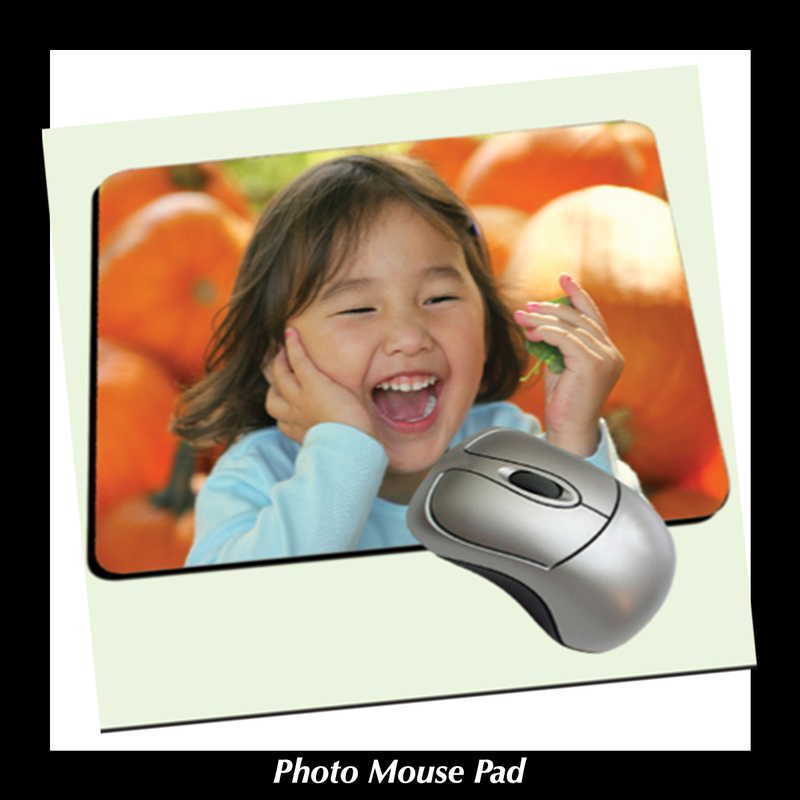 Those negatives of yesterday are the digital images of today when the images are locked on to a DVD or SSD or other storage that needs an out-of-date reader to enjoy them. adjective: Made or done to order for a particular customer. When we opened our doors in the late 1980s, one-hour labs were just coming into vogue. The more automation you could acquire the better, but there was a trade off – expensive equipment required less personnel but gave less options for operator control. The changes that could be made were large – no fine tuning. Many settings were preset and required considerable expertise to work around. That (and the fact that the first minilabs weren’t exactly mini size-wise or price-wise) is why we opted for custom equipment. Even though we use complex equipment and software, we approach our work like craftsmen, not technicians, and these days, we often receive very little training from the manufacturer. That’s just the way the world is these days – most manufacturers figure training is just as good on youtubes created by someone else, not to mention it costs them less if they don’t have to provide training on site or at a regional office. From our past experience, maybe that’s okay, because most trainers we have had were only equipped to create “commercially acceptable” results, which is not always acceptable enough for our requirements. Traditional Lab Services (Prints on Fuji Crystal Archive Paper): This may be the most automated process in our shop, but even the prints we receive over the internet are evaluated for color and density as we print (unless “as is” is specifically requested). 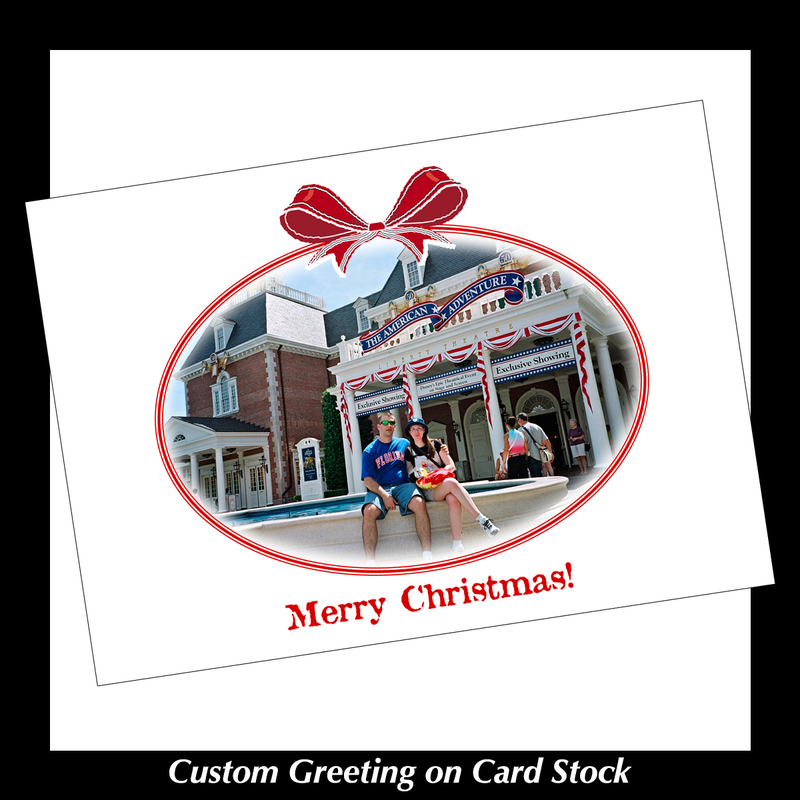 And we are constantly creating “custom” sizes of prints, when the standard sizes don’t meet the needs of our customers. 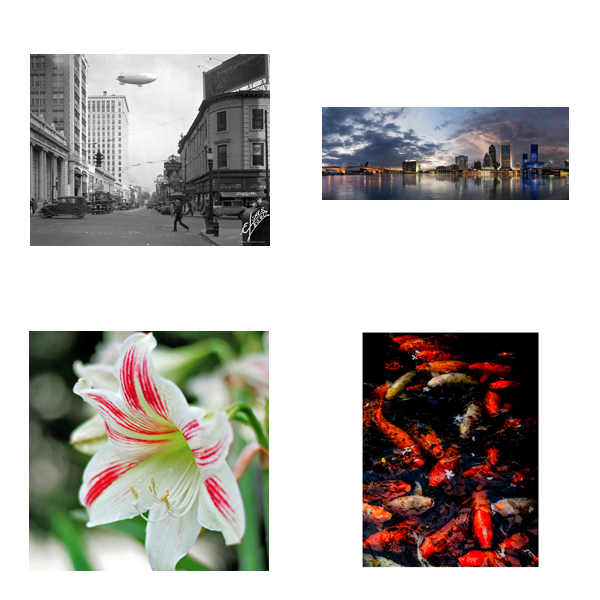 Inkjet Prints and Giclees: Most of our inkjet prints are “custom,” period. With today’s software we don’t have to make as many tests to achieve correct color as we did when we used enlargers in a darkroom, but we can still make tests to make sure everything is spot on, if the standard profiles don’t meet our standards. 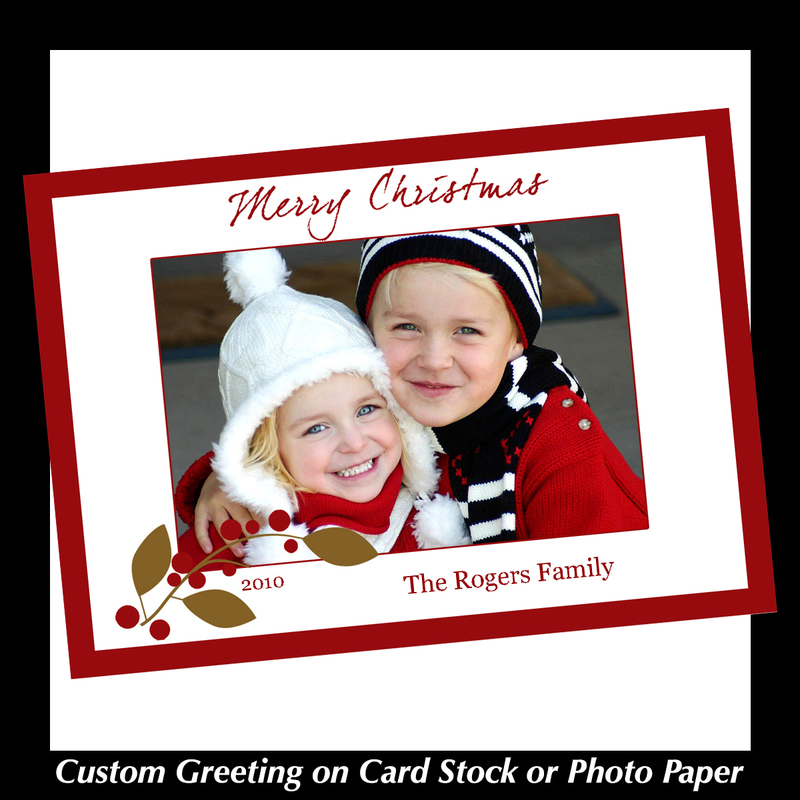 Prints are sized individually, and trimmed per the customer’s request. 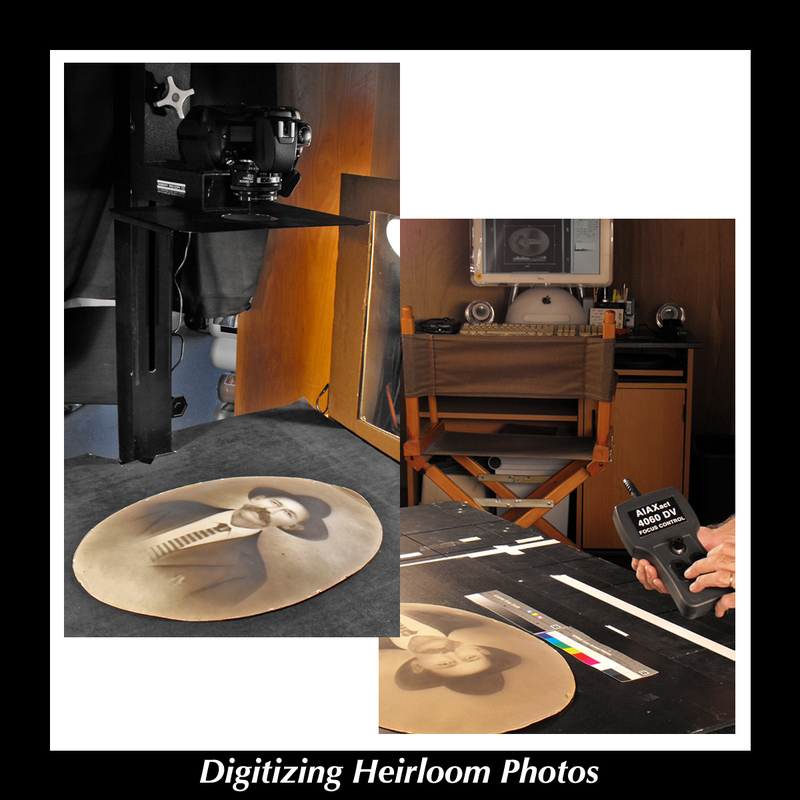 Converting Images to Digital: This topic was originally going to be the focus of this blog post until I realized that much of what I wanted to impart about scanning and digital capture has already been covered in other blogs (see “Thanks for the Memories”). Our scanning department fits well with our “custom” mindset. Even though we have special batch pricing for most of our scanning services and discounted prices for “bulk” orders, there is still much custom handling required, even if it’s just in the preparatory stage, when we organize which type of scanners to use based on the materials we are to scan. And you don’t get more custom than handling fragile antique prints and film. 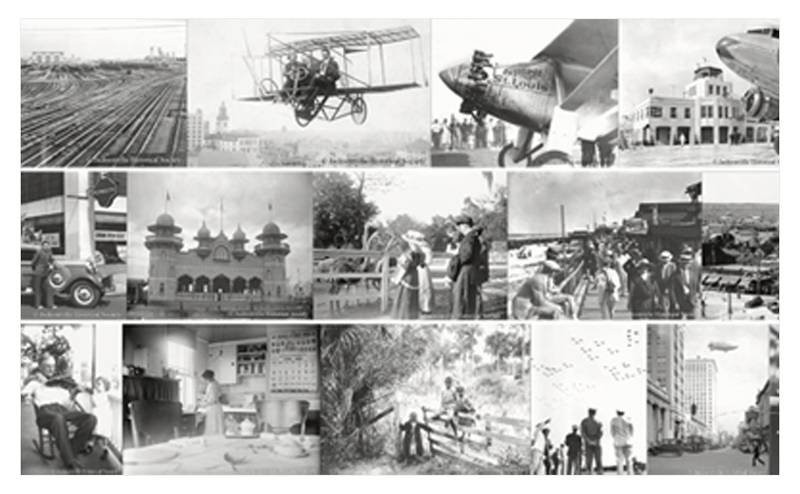 Creative Services: As a follow-up service to the above “Converting Images to Digital,” we can use Photoshop for digital restoration of scanned images, and we often create custom arrangements or collages if desired. Some shops send out their restoration, others hire free-lancers, some even use ready-made templates. Our strength is that we do all creative work in house. 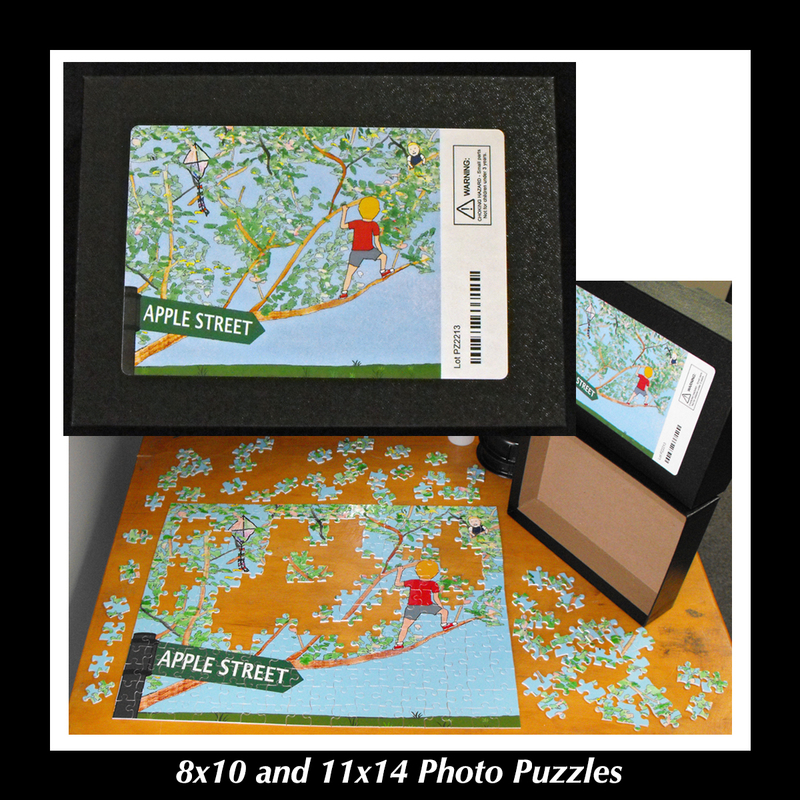 Of course, some customers like DYI opportunities, and we are glad to print from their supplied digital files, but even then we check to make sure everything looks right before we run it. Small- to Medium-Run Digital Printing: We really move away from the norm here. We are fanatics about the color reproduction of our Konica Minolta C6000 digital press, even though it is highly automated. Where we make it “custom” is that we push the quality capabilities far beyond what is “commercially acceptable” (or generally expected). Shortly after we received the press we printed our 25th Anniversary magazine on it. Our salesperson was so impressed with what we achieved, she took samples to show to her office and the Konica Minolta people were surprised to see the quality of the booklets produced by their machine. Recently one of the owners of a local bindery, which uses similar equipment for on-demand publishing, commented that no one in town matches the quality of our machine’s digital output — he told us that we are in a class by ourselves. Maybe that’s because we are “accustomed” to producing continuous tone prints and we aren’t satisfied with anything less. 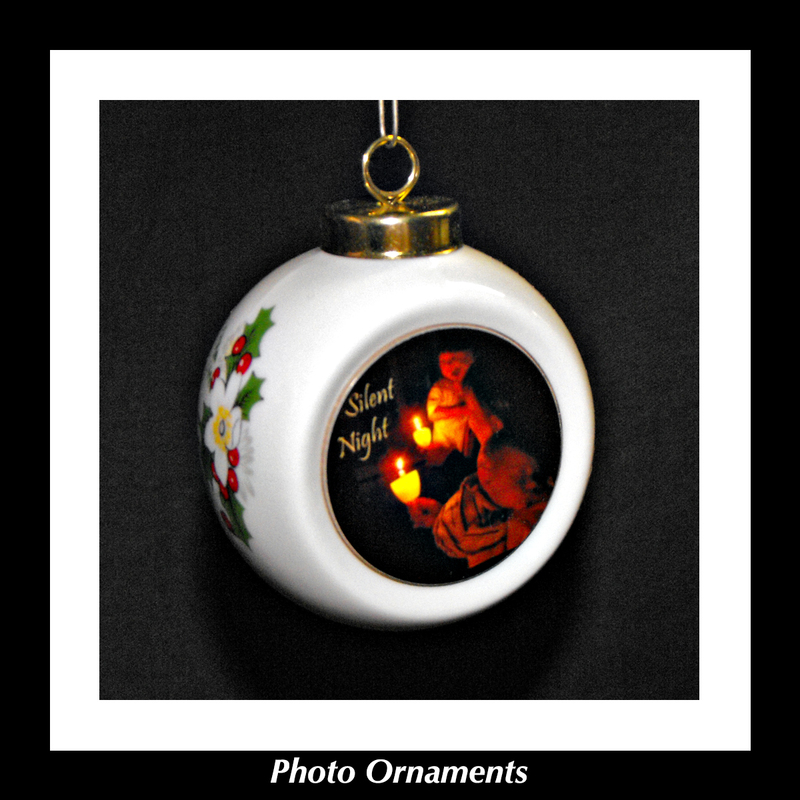 Photo Gifts: This is the one product we outsource at present, but we hope to eventually acquire our own equipment so we can produce personalized gift items in-house. Yes, that’s a byproduct of being control freaks. Photo Books: In January and February we purchased and installed equipment so that we will no longer have to outsource our photo books. We are tired of paying for mistakes that could have been easily avoided if we were printing the books ourselves. 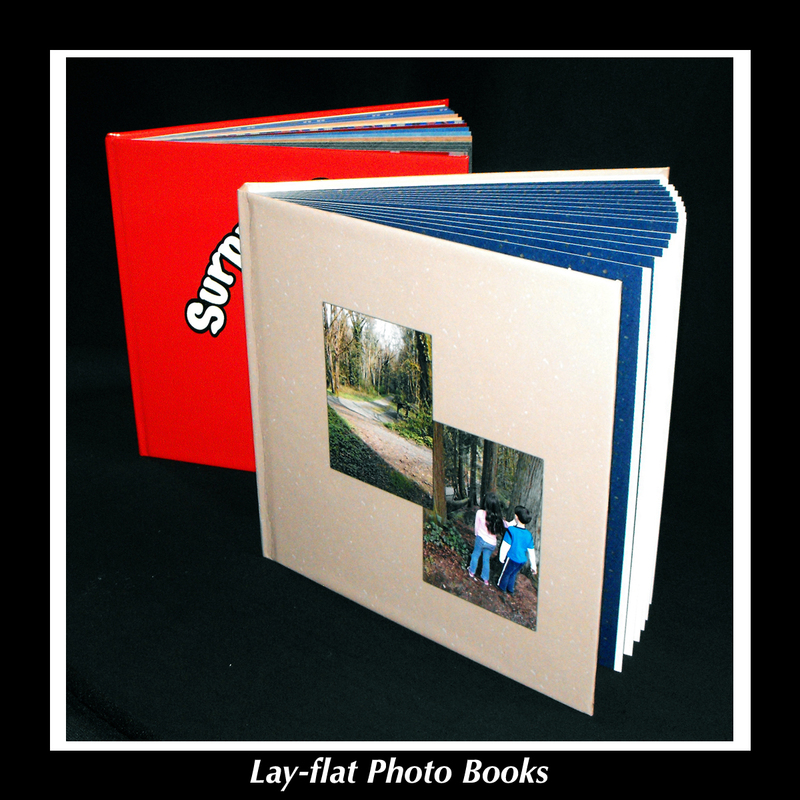 You just don’t get more “custom” than photo books – every book is a one-of-a-kind creation. 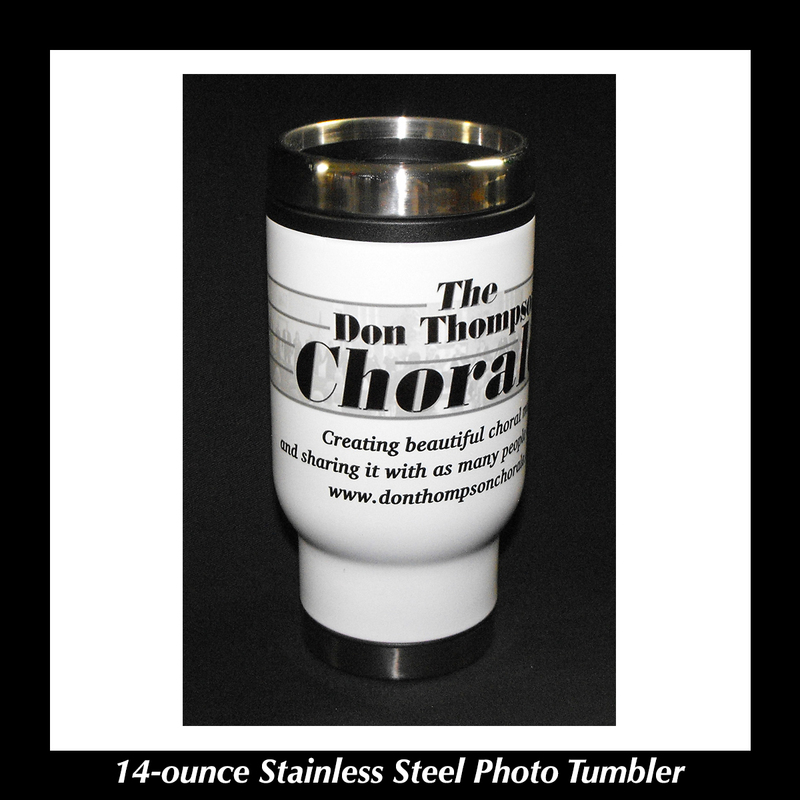 Being a shop that offers custom products presents some real challenges aside from the special attention it requires. How do you sell “custom” to the masses? Some people are actually hesitant to break out of a mold, feeling more comfortable doing what everyone else does; but all people and families are unique — preserving memories shouldn’t be cookie cutter. Hopefully the fact that you have been willing to read this blog will encourage you to use our highly individualized services if you haven’t already. Many assume that “custom” means expensive – we like to think that FotoTechnika’s “custom” (noun & adjective) translates to excellent value. YIKES! 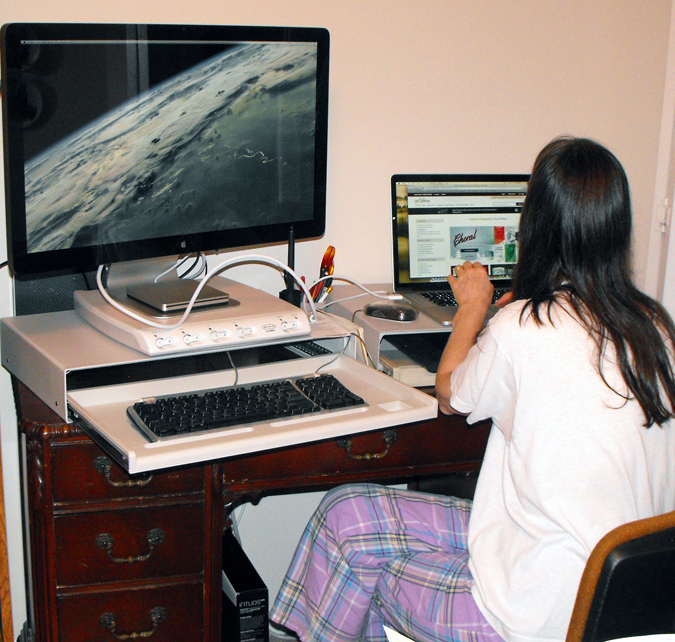 It has been over a year since I blogged – this is my seventh or eighth attempt. Every time I think I’m ready to post, some significant change in personnel, equipment or products makes it necessary for me to go back once again and revise. Someday maybe I’ll get around to finishing all the other missives I started, but for now, here is my Blog of the Year, before it turns into the Blog of the Century. Here’s a memory exercise … see if you remember some of these names: McDaniel’s, Qualex, ColorCraft, Rothor, Fine Print, Lightsource, Black Dog, Berisford’s, Jax Color Lab, Apex Color Lab, Paul’s One Hour, Express Photo, Beaches One Hour, CPS (Creative Photographic Services), Quality Photo, CVS (Commercial Video Services), Fotographic.Net, Brad’s Fast Photo, Gaston’s, Wolf Camera, Ritz Camera, Chelsea, Brandon’s, A-1 Photo, Riverside Camera, Living Image, Desktop Darkroom … not to mention all the local photographers who had their in-house labs. All of these photo labs were either in business when we opened or have come and gone since then; some are still in business, but not offering lab services to the public. 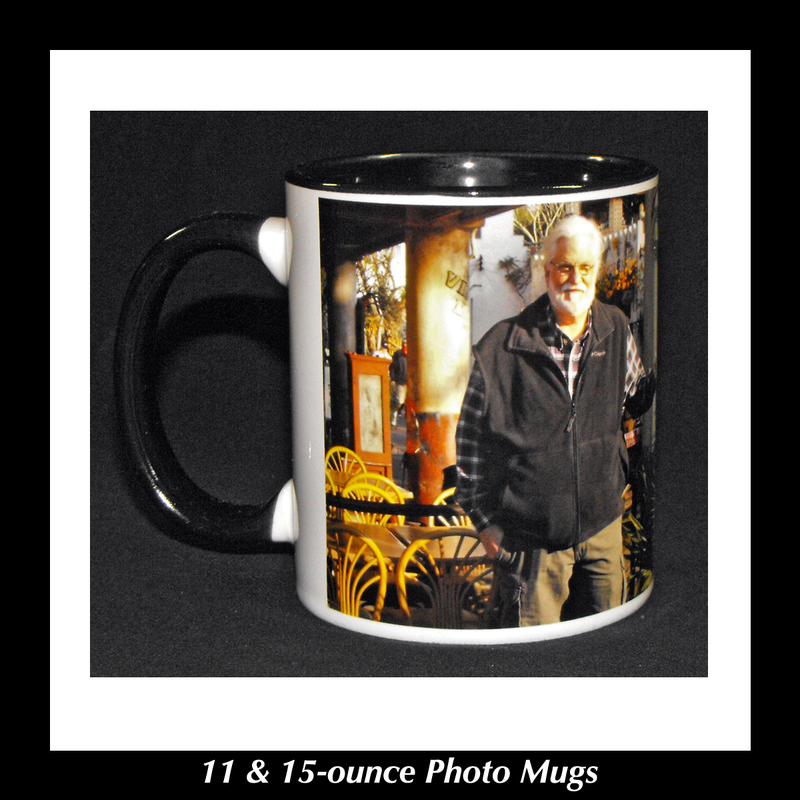 When I started working in a local color lab in 1979, there were maybe two or three other commercial labs in town, a couple of giant wholesale labs in the region, and probably a half dozen or so labs owned by professional photographers. My time working for the lab was brief and not very positive; even so it fueled my passion for photofinishing. I saw so many possibilities, but I also saw what not to do if I ever owned my own lab, especially with regard to fair treatment of employees and customers. By the early 1980s Saundra and I both had jobs related to the graphic arts industry, but we moonlighted doing photo projects out of our home darkroom. We incorporated FotoTechnika in 1981 with the notion of creating a hybrid lab that could bridge the photo and various graphic arts industries, but in those days combining the industries was like mixing oil and water, and we didn’t quite have the spark necessary to motivate us to open full-time. Then in 1985 Saundra and I watched a PBS documentary called “In Search of Excellence” which chronicled eight successful American companies and some of their creative approaches and philosophies. In particular we became fascinated with Disney and Apple Computers. We knew we wanted to launch FotoTechnika as a full-time venture, and the documentary inspired us to consider operating differently from all the labs we had encountered. We started putting all the pieces in place, and finally opened our doors to the public in March 1987. Back in the sixties and seventies almost all snapshooters dropped their film off at grocery, drug or discount stores when they came to shop and picked up their prints on the next visit to the store. In the mid-1980s one-hour labs were starting to cut in on the photofinishing business that those stores had dominated for decades. We figured it would only be a matter of time before the stores responded, and we were right. They did so by installing their own one-hour labs, then proceeded to price much of their photo work as loss leader, banking on purchases of high mark-up items like diapers and candy bars while customers waited for their film to be processed and printed. No more coming back days or weeks later – most work was done in-store, in the space of one shopping trip. This eventually put most of the independent one-hour labs and even the big wholesale labs out of business. In the meantime, we continued to concentrate on services the chain stores couldn’t offer on-site. Sure we processed color negative film, but our specialty was E6 and B&W. 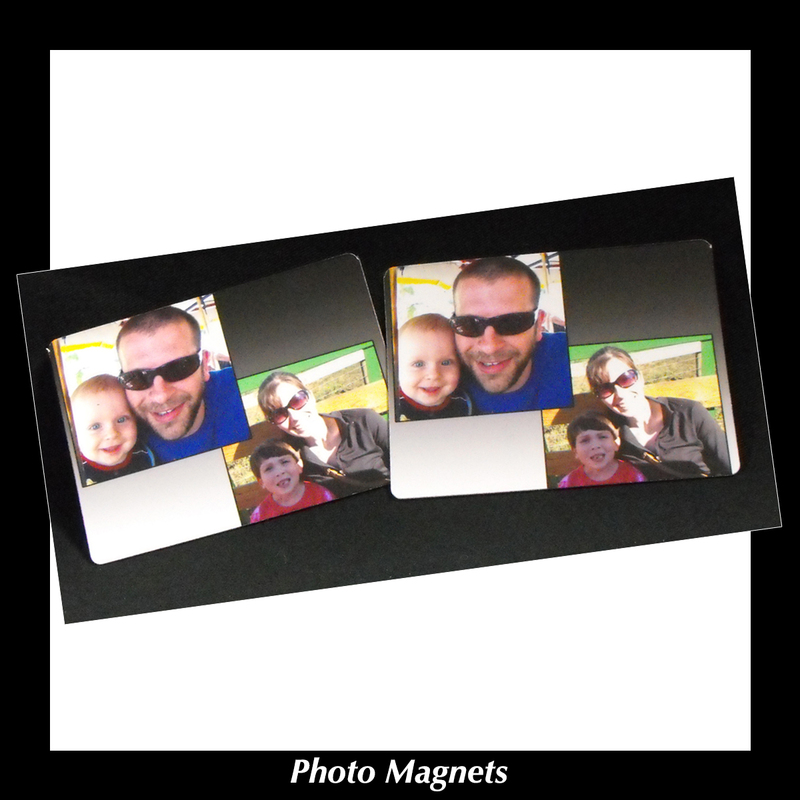 We offered automated proof prints too, but we also offered custom color and black & white enlargements in addition to our R-prints. By 1997 the market had already thinned out quite a bit. The move to digital cameras and digital printing had already begun when we assumed a lease on a wide format inkjet printer from a fellow lab owner who had been diagnosed with terminal cancer. This started our evolution from an analog lab to a digital lab, but it certainly wasn’t a painless transition. With our building constraints we knew that high volume wide format commercial inkjet printing was not an option – we just didn’t have enough space. 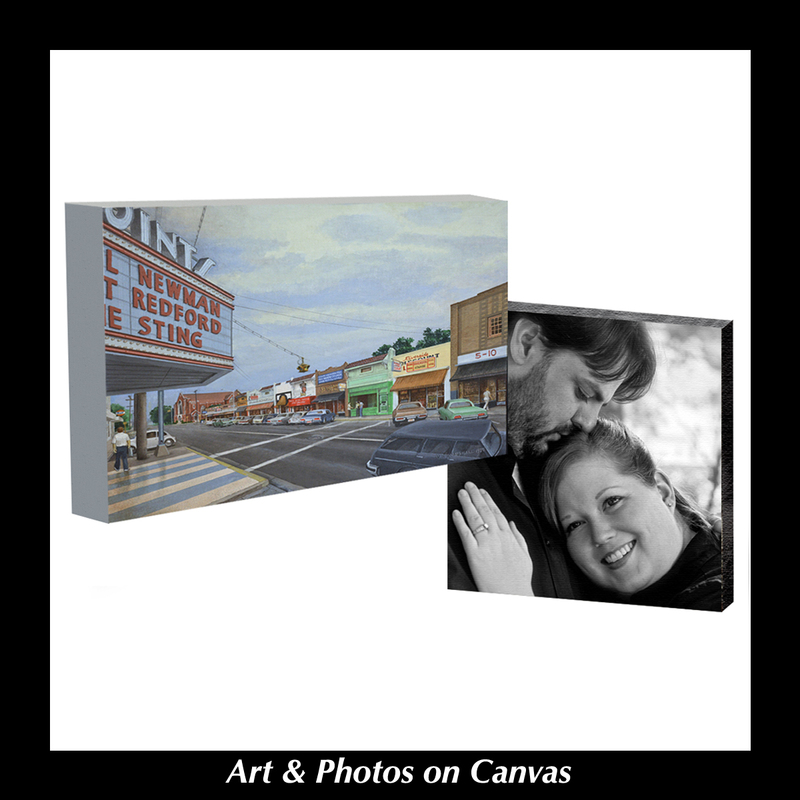 But with our talent for color rendering and high quality, we thought fine art printing might be a possibility. Fine art printing is a specialty that requires a lot of one-on-one personal service, and that seemed to be right in our wheelhouse. Around the same time it was our good fortune to find that another staff member, Brian Wanta had exactly the talent and temperament necessary to work with artists to create reproductions that are faithful to the original art. Be coming fine art printmakers gave us a service the other labs didn’t have, but at the same time it put us in a head-to-head competition with an offset printer that had specialized in fine art printing for decades. Inkjet technology was as new to them as it was to us, but their real problem was that they were lithographers, so they were used to printing 200-line screens on offset presses. Our advantage was that we were used to producing photographic resolution, aka continuous tone prints. 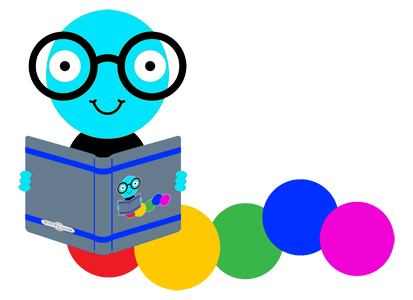 We did loads of research on print longevity and made sure our inks, media and UV coatings were matched to be archival, while the print shop used cheap inks on inexpensive paper with no UV coating. 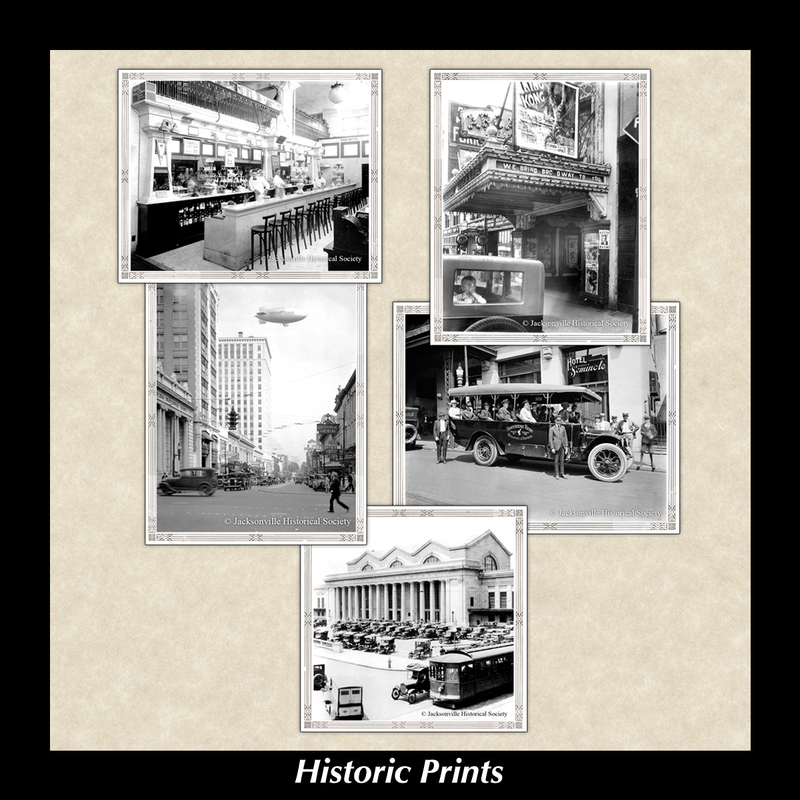 Their “good enough” quality meant that within a year, many of their prints started fading, and their lack of individualized customer service, especially with artists, made their foray into fine art giclée printing short-lived. In 2002 we purchased our first digital minilab, a Noritsu 3001. 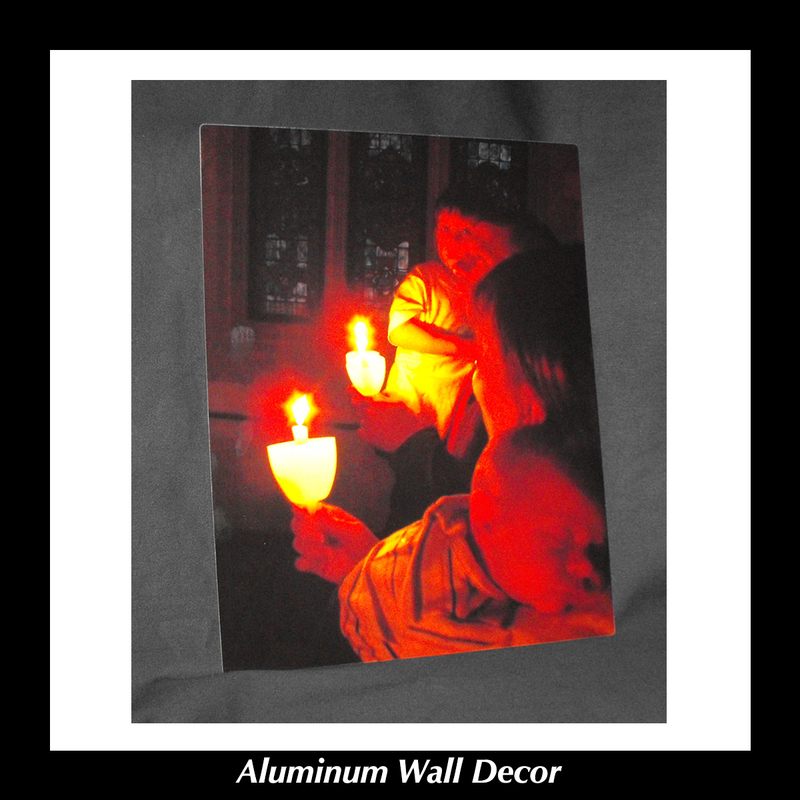 One year later we purchased a 30” wide ZBE Chromira – an LED printer that output on traditional, chemically-processed photographic (silver halide) color papers. At the same time, several of us started learning Photoshop, and it didn’t take long for Saundra to transfer her art training to image manipulation. Our transition to digital was complete. We still offered a variety of analog services, but requests for those services were diminishing at an alarming rate. As we were investigating even newer digital technology at a trade show in Orlando in 2005, the owner of the shop where I had worked in 1979 bumped into us at the Noritsu booth. He started quiz zing us on everything digital. When he asked how much some of our equipment cost, my answer drained most of the color from his face. Back then the less expensive, used digital equipment market was practically nonexistent – everything digital was too new. Within a couple of years, my old boss had shut his lab down, but at the same time several other purely digital shops opened. For years we grew at a steady pace, enough so that in 2006 we expanded our services with major equipment purchases and software upgrades. For one year we experienced unprecedented growth, but then in late 2007 our growth sputtered. At the time we didn’t realize that we were experiencing early stages of the housing collapse. We later deduced that if new houses weren’t being built, folks wouldn’t be purchasing fine art reproductions to hang on the walls. The common belief was this was just your garden-variety recession, and the expression “hang in ’til twenty-ten (2010)” was the mantra. Only things didn’t get any better in 2010, so we ended up cutting staff in order to survive. We went through some very lean times, all the while the photofinishing industry was shrinking because digital images, especially on smart phones, didn’t require hard copies. Digital capture had officially overtaken film, which meant the photofinishing industry would soon be a mere shadow of what it had been when we started. 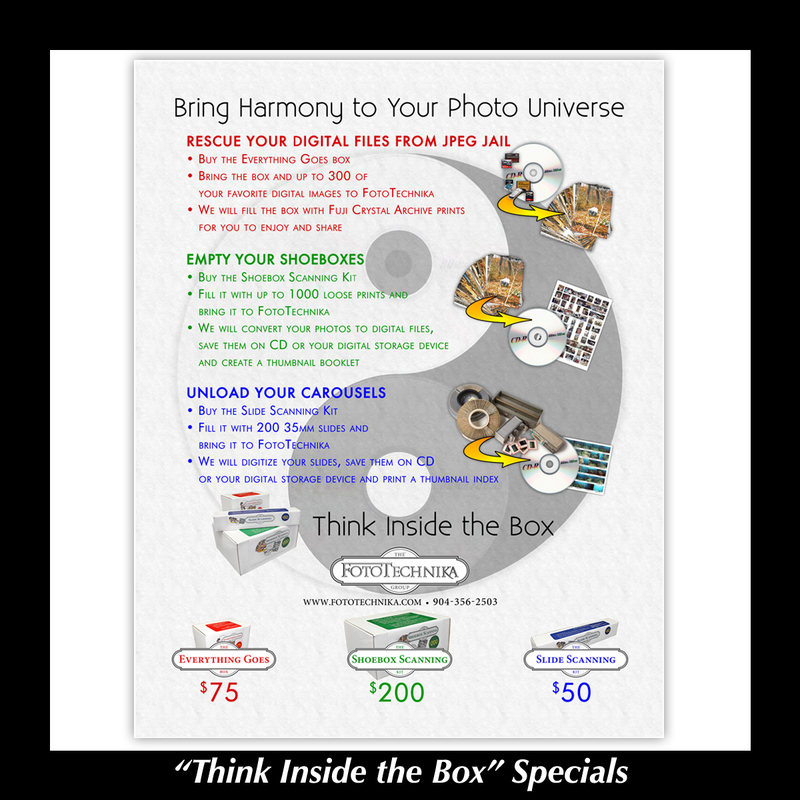 In 2008, in a search for more affordable ways to stay in business, we discovered IPI (Independent Photo Imagers). We joined the organization and have since become friends with our lab owner-colleagues all over the country, sharing knowledge to better cope with an industry that is still in flux. We have gotten to know lab owners in Gainesville, Tallahassee, Charleston and Atlanta with whom we frequently share our philosophies and common interests. 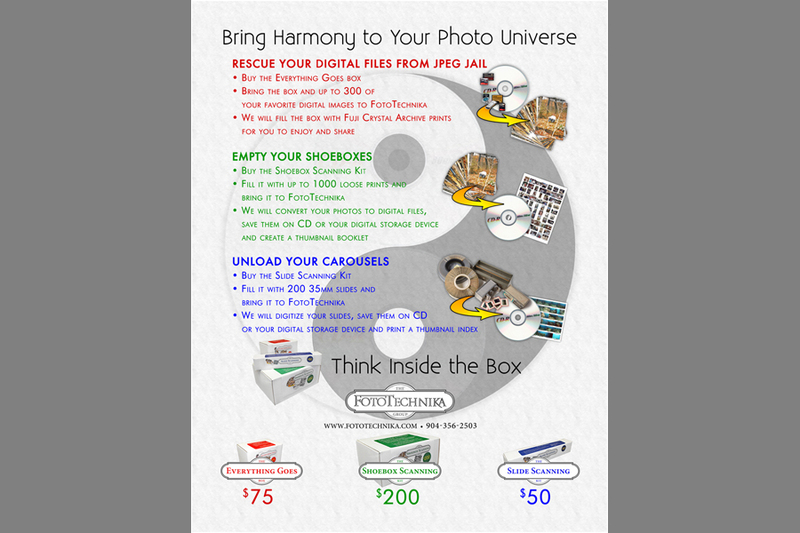 In the photo lab business, there is nothing to fear from our fellow lab owners, and we have come to the conclusion that anyone trying to enter this industry needs to have their head examined. Running any small business is not for the faint of heart, but this industry has experienced more than its share of challenges just in the 30-plus years we’ve been involved in it. And what we have found, more than once, is that we have to expand into other related services that can supplement what we offer currently in order to survive. By 2012, pretty much all of our local competition was gone. We were officially the last lab standing, but we were teetering on the brink. We decided that in order to branch off in another direction we would need to return to our graphic arts roots. We started by leasing a Konica Minolta C6000 digital press, which opened the door to more commercial applications for our photography customers, but using toner technology. As with all the equipment we’ve used over the years, we pushed the image quality to a level higher than the manufacturer thought possible. With the press we finally had the makings of the hybrid company we had originally envisioned, but the fact that we had it, didn’t mean people were beating down the doors to bring us printing jobs. Eventually we decided that our best course of action was to move the business to a more “retail/business friendly” environment. 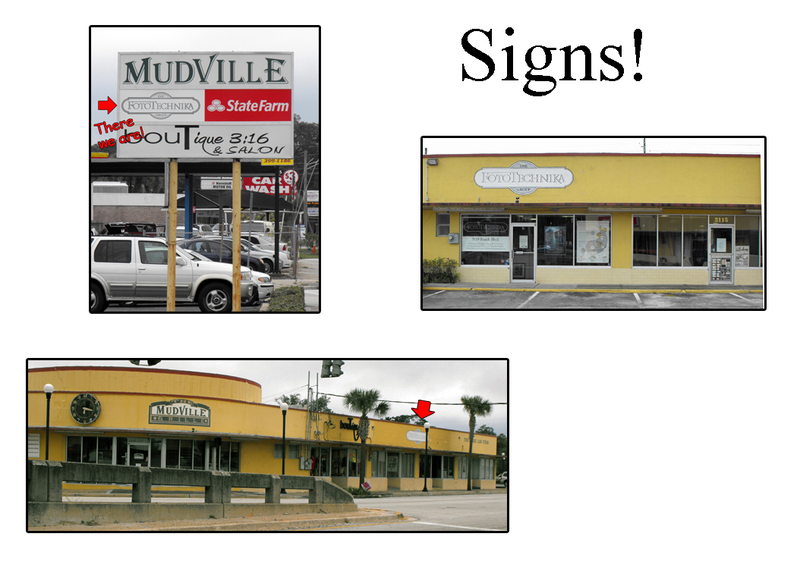 In late 2013 we sold the old house on Lomax and moved to the Mudville Grille Plaza at 3119 Beach Blvd in St. Nicholas. We now have huge windows where we can showcase what we do to pedestrian traffic, and we actually have plenty of customer parking — most of the time (except when Mudville is particularly busy). We also took opportunity to update some pretty antiquated equipment including a newer Noritsu minilab and two new Can on wide format inkjet printers. Our most recent upgrade is a Noritsu D502 Duplex Photo Inkjet Printer. As opposed to our Konica Minolta C6000 that uses toner technology, this printer outputs photographic quality with the option of more archival materials and, unlike most other inkjet printers, can print on both sides of specially treated papers. To our knowledge we are now the only photo lab offering any of the “vintage” services in Northeast Florida; particularly, developing film in-house. Grocery stores gave up traditional photofinishing long ago; now the drug stores and discount stores are producing prints through mostly lackluster do-it-yourself inkjet systems. Others may offer to outsource film to an out-of-town lab, but do not return the customer’s developed negatives, only providing a proof-size jpeg file on a disc. Since traditional lab services are no longer the mainstay of the photo industry, our business included, saying that we are the “last lab standing” these days is not a great claim to fame. But as technology marches forward we continue to evolve with it; when old processes decline and opportunities arise, we offer new products, and pay more attention to interactions with our customers over the internet. Being the last lab isn’t enough… we would like very much to remain standing. And as long as our commitment stays true to our original vision – to provide innovative, imaging services of high quality, with personalized attention to our customers’ needs – we believe our future looks very bright. We are constantly racking our brains to figure out the best way to present our message: you know, WHO we are, WHAT we do and that we even exist. We have tried all sorts of marketing approaches over the years. This blog, Facebook and our website have been some of our most recent endeavors and they have been reasonably successful, but we always find our greatest success in personal contact or through word-of-mouth referrals. The fact that Saundra and I are both essential production personnel means that pounding the pavement to visit potential customers is impractical if not impossible. If we can’t go to them, how do we get them to come to us? Enter the Home & Patio Show! That’s where we will be March 5-8, in Section 4 Booth 9 in the old terminal building, where they have the cooking shows. Preparing for the show has kind of been like getting gussied up for the Prom – the thing is, YOU are our date. As I sit here close to midnight on a Saturday evening writing this blog, Saundra is busy creating a slide show that we will have set up at the front of our booth. We’ve been plugging away on marketing ideas since January, but as usual, we always seem to do our best work when there’s a tight deadline. I’m sure we will burn the midnight oil all the way up to the show, and we may even do some tweaking once there. Coupons for specials that will only be available to show attendees After the show there will be a drawing for the four images which will be on display and show the materials and types of work we produce, all ready to hang. They say we’ll see lots of people at the show (around 30,000 paying attendees) but our hope is for them to see us. I hope you will have opportunity to drop by our booth. (The shop will be closed on Thursday, March 5 and Friday, March 6.) You can even purchase your tickets at a discount — just enter the word “savings” when you go to this link. And remember, the value of our coupons is more than the cost of a ticket. The Most Photographed Generation Will Have No Pictures in 10 Years!. 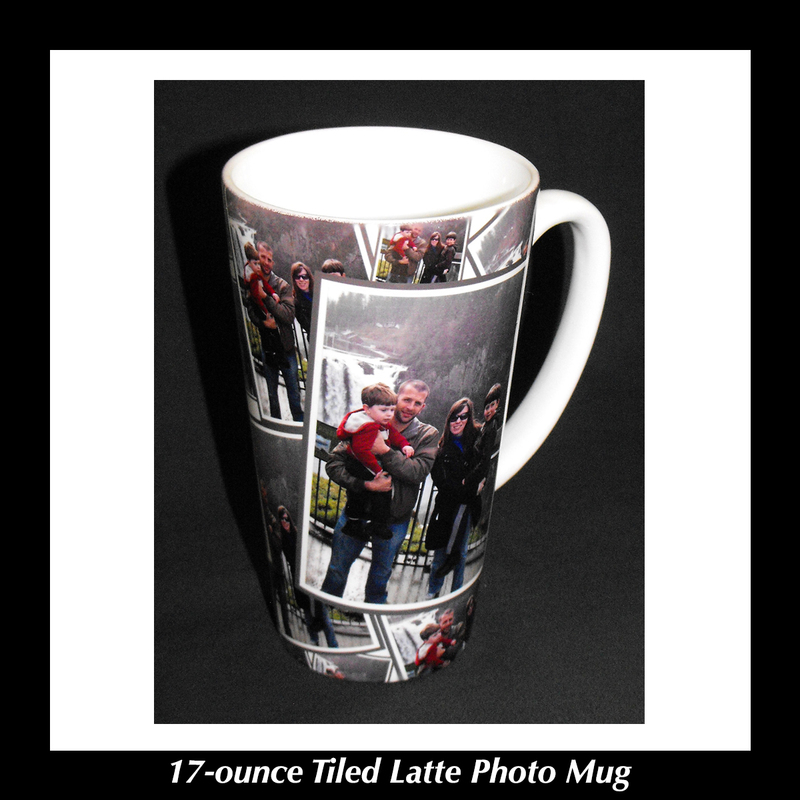 With our graphics background, Saundra and I have always wanted to expand into creating “coffee table” books to complement our photographic and fine art printing. In 2006 we started exploring the idea of creating fine art books on Crane’s Museo II fine art paper. Museo II was 100% cotton, coated on both sides for inkjet printing. We had been printing on Museo fine art fold-over cards for a couple of years when the notion of creating books popped into our heads. We found a company called Art Z in Bozeman, Montana that provided die-cut, scored and punched Museo II pages that could be bound in their scrapbook-style album using Chicago posts. Art Z’s claim to fame was their Italian leather binders which were designed primarily for wedding albums. 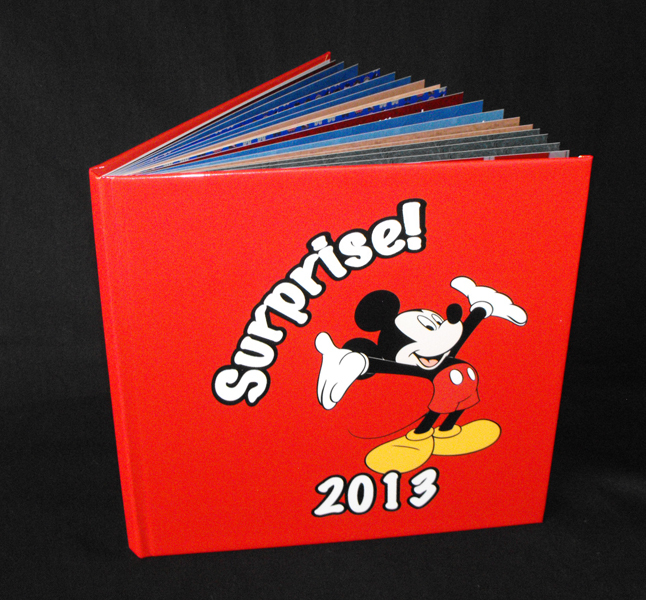 With paper, binders and ink, the materials alone were going to exceed $75.00 per book. By the time we threw in freight, design, printing, binding and spoilage, the books would have cost at least $200.00 each to produce. They would have lasted for a century or more, but a quick survey of interested customers revealed that we would not have many takers. We considered offering books printed by traditional offset methods in Asia, but customers would need to order large quantities and we would no longer have control over quality. For a more affordable, high quality option, we needed to find a way to create books using our existing silver halide papers: enter layflat photo books. 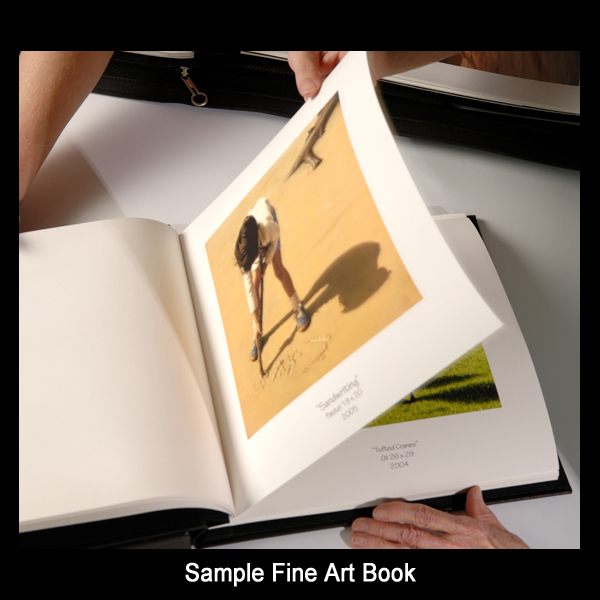 The benefits of the layflat book is that images can span two pages without losing any of the image in the “gutter.” With Fuji Crystal Archive paper the image quality is outstanding and it’s almost as archival as fine art paper. I had read reviews about an Italian bookbinding machine years earlier, but it was not only expensive, it required more space than we had available. So in the search for more affordable binding systems, I was given the name of a company that, to our surprise and delight, was headquartered in Jacksonville. The company was just getting into creating layflat book equipment when we met. Over the course of the next two years we worked closely, beta testing several variations of layflat book systems. As you can see by the samples, we made some really nice books, but here’s the rub: forget the designing the book — forget printing the book — the bindery time alone was more than an hour per book and that was with two of us working on it and if we didn’t make any mistakes. There are machines made to do what we were doing by hand, but the really good ones cost well over $100,000. Unfortunately moving from the $200 fine art book to about $100 for a small layflat book could not compete with advertised internet prices, so the layflat project went on hold. Fast forward to the summer of 2012 when I visited a Fujifilm exhibit at a trade show that was held at the Ponte Vedra Mariott. The Fuji rep told me that Fujifilm was getting into the photo gifting business in a big way and they planned to offer layflat photo books. Since we are longtime Fujifilm customers, they let us in on the ground floor, telling us we could order books similar to our beta test books; our customers could actually order books directly from our website if we set them up in our Photo Factory photo gift application. 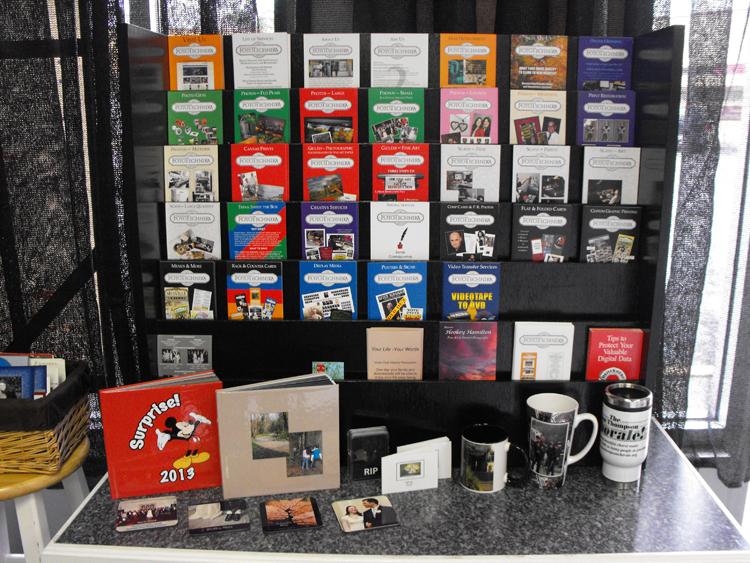 So in the Spring of 2014 we added the service and created some sample books which we have on display at our front counter. We were blown away by the quality. 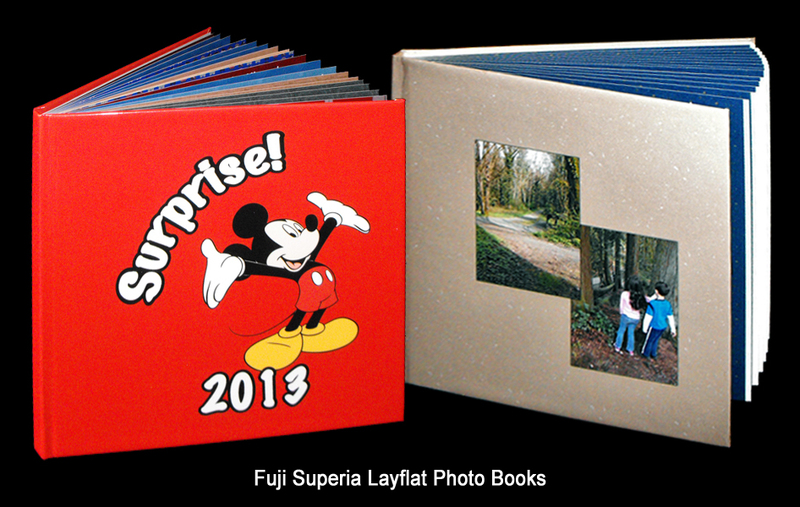 Rumor has it Fuji’s layflat binding system cost close to a million dollars, so it should be first class. So now we offer three different size books, all with a minimum of 18 pages, and can be designed with up to 72 pages (in 6-page increments). 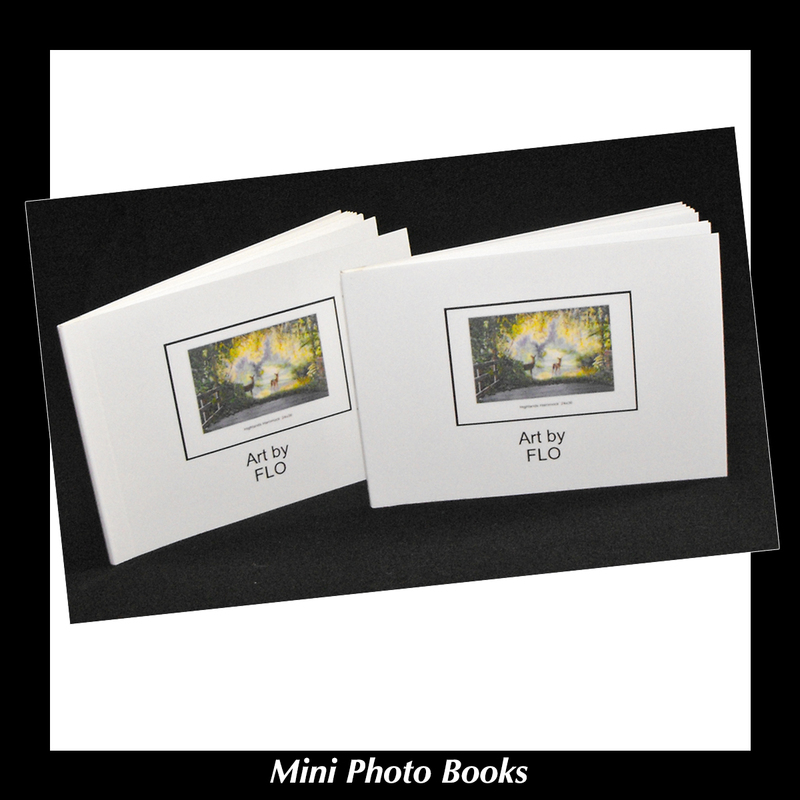 8×8 layflat photo books on Glossy Fuji Crystal Archive paper start at $49.99 with additional 6-page blocks for $6.90; 8×11.25 start at $57.99, with additional 6-page blocks for $7.50; and 12×12 start at $89.99 with additional 6-page blocks for $10.50. You can design your own book in the Photo Factory on our website, or if you’d like to select your images and have us design your book, we’ll be glad to create and order it for you for an additional charge. 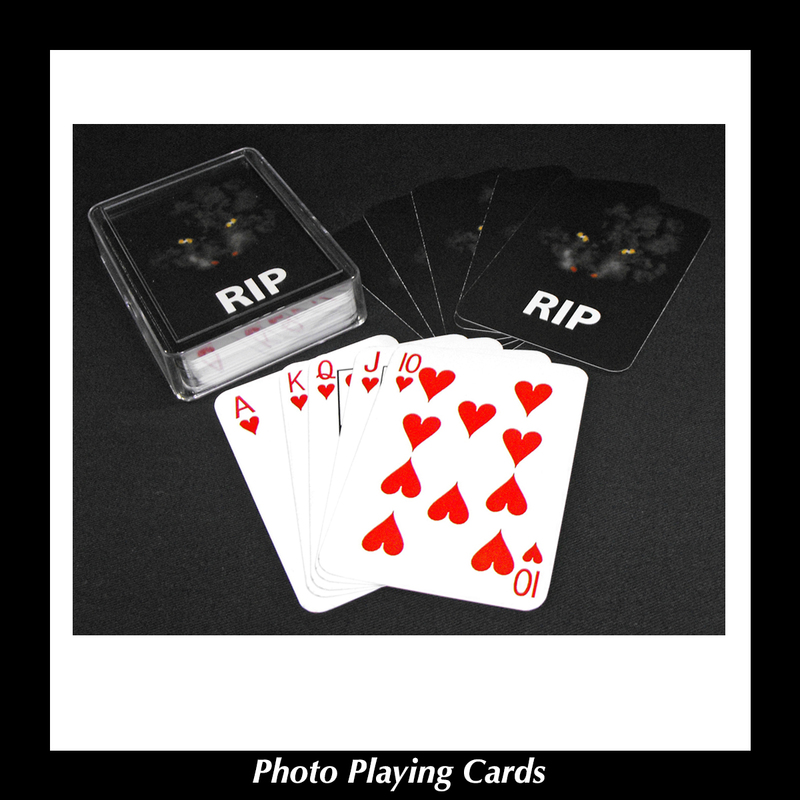 If you would like a tutoring session for the Photo Factory or Photoshop we are available after regular business hours by appointment for $25.00 per hour. After your session we will give you a $25.00 gift card that you can apply toward any of our services. 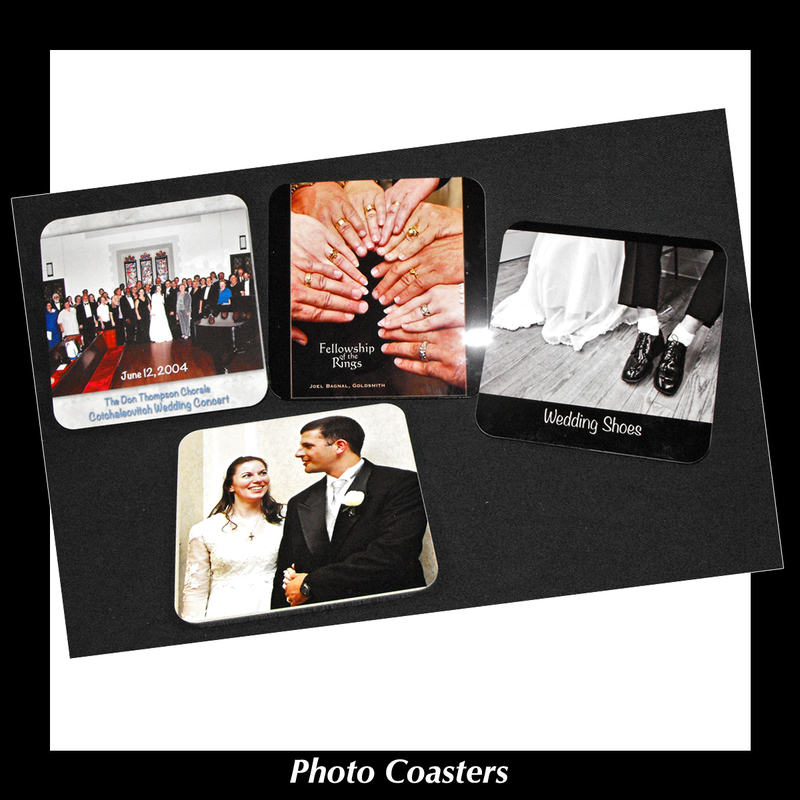 Customized photo books make great gifts — we hope to help you with one soon.